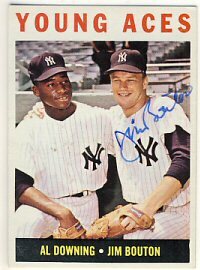 Today I received a couple cards back from Jim Bouton after about 12 days. He signed his 1965 Topps Young Aces card, which I'll send off to Al Downing next. 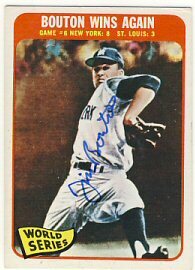 He also signed his 1965 Topps World Series card. 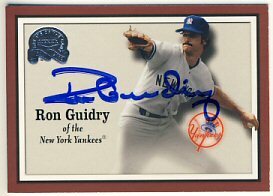 I guess Ron Guidry shouldn't really be considered a long shot as he appears to be signing just about everything via the Yankee's spring training this year. 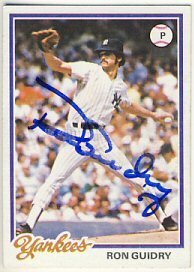 He was kind enough to sign his 1978 Topps and 2000 Fleer Greats of the Game cards for me. The other return is really a long shot. 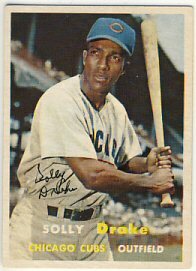 Solly Drake signed his only two Topps cards for me. Mr. Drake has been a tough signer for a long time and doesn't typically do autographs shows. I saw a return from a collector I follow on Instagram and he was kind enough to confirm the address he used was the one I had available. 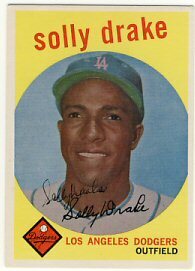 Mr. Drake signed his 1957 and 1959 Topps cards. 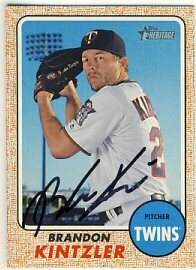 Today I received another ex-Twin return from spring training. 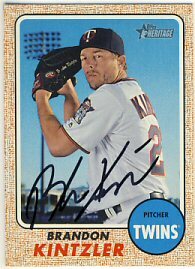 Brandon Kintzler signed two 2017 Topps Heritage cards. I had sent one for him to keep, but he signed and returned them both. I have just two more requests out but they are both long shots. I only sent out three requests to spring training. The return rates for spring training have really dropped so I don't bother sending too many out. Today I received my first return. 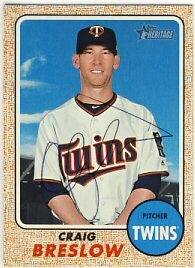 Craig Breslow signed his 2017 Topps Heritage in ballpoint. I had included an extra for him to keep but he returned it unsigned. Breslow signed from the Toronto Blue Jays spring training address. I took advantage of the 20% off sale on Ebay last Friday and bought this Harmon Killebrew-signed Sport Magazine from 1964. It is JSA authenticated. It wasn't very expensive, so the 20% off amount to roughly free shipping. 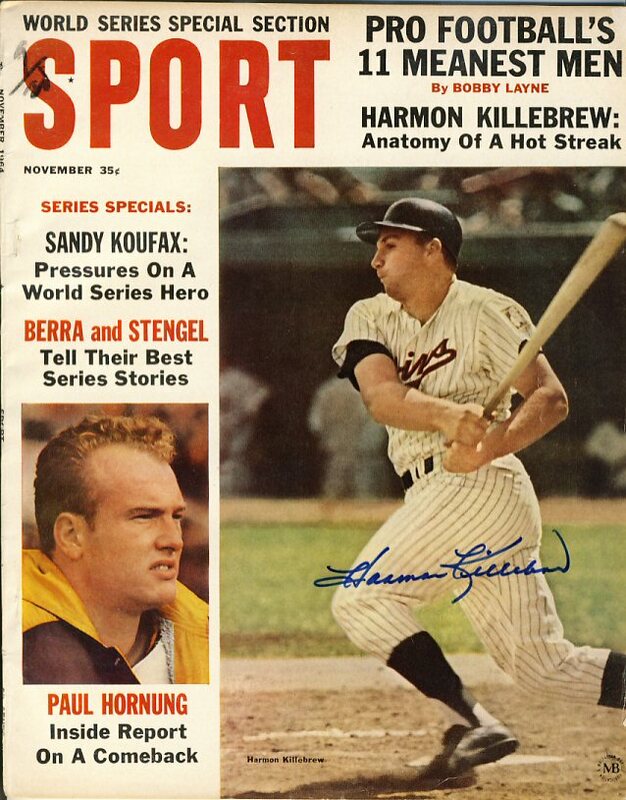 I didn't have a magazine signed by Killebrew yet, so I"m happy to add this to my collection. 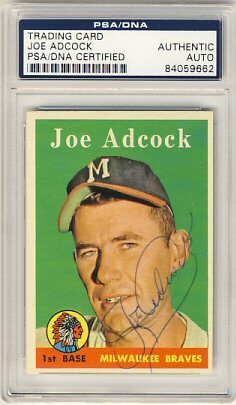 I received my other Ebay purchase today: a 1958 Topps signed by Joe Adcock. There are a few other authenticated 1958 signed cards on Ebay that I have my eye on. I may try to dig up some other stuff to dell to pay for those. I few weeks ago I sold a couple Brett Favre signed 8x10 pictures on Ebay and used the money to buy a few other things. 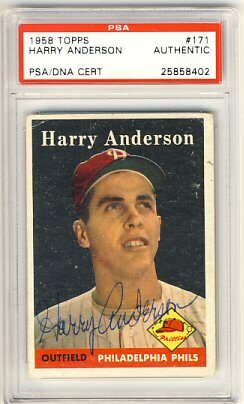 One of the things I bought was a 1958 Topps signed by Harry Anderson. I have another signed 1958 Topps coming in the mail any day. I still have over 100 to go to complete my set, but they're getting harder to come by and much more expensive. Only a small number of the players I still need are still living.